Something for every occasion from camping to luxury spa hotels. Every price range, every type of cafe, restaurant and bars! Wonderful high level walks in the Lakes. For more sedate walks in the most beautiful part of England. Want a day's activity? Maybe a bit of mountain biking? Or some water-sports? Fancy something to entertain the kids, or amuse the older members of the groups? Everything to do in the Lakes is here. Hundreds of wonderful activities, endless places to see and things to do in every category you can imagine! At Macdonald Hotels - The Old England, overlooking Windermere, and The Swan at Grasmere - you will be looked after by an efficient and professional wedding co-ordinator. Both hotels are licensed for civil ceremonies. Located on the shores of England's largest lake, The Old England is an elegant Victorian mansion boasting unrivalled views of Windermere. Superbly furnished with fine antiques, there are four-poster rooms, the candlelit Vinand Restaurant provides fine fare and panoramic views, and the gardens lead down to the hotel's own jetties. The Swan Hotel in Grasmere is a delightful 17th century inn on the edge of the village, which has oak beamed ceilings, inglenooks where log fires burn in the winter and a friendly informal atmosphere. Magnificent views can be enjoyed from a large number of its rooms. Broadoaks Country House Hotel is located at Troutbeck near Windermere and its Victorian splendour makes it an ideal setting for your very special occasion and one of the luxury suites makes a perfect honeymoon hideaway. Your wedding co-ordinator will assist you every step of the way - for example helping to choose the menu and settings, from self served finger buffets to a full multichoice silver service menu. The Burnside Hotel is set in mature gardens with views overlooking Lake Windermere, and weddings here are tailor-made - whatever the size of guest list or budget - to ensure that all the arrangements for the event run smoothly and you enjoy a unique, memorable and above all happy occasion. The hotel is licensed for civil ceremonies, so why not arrange to have the ceremony, reception and evening buffet here? In a sublime hilltop setting overlooking Lake Windermere, Linthwaite House Hotel is a perfect location for your Lake District wedding. Recently voted 'most romantic hotel' by the AA, the secluded gardens, magical tarn and Lake District scenery provide the perfect backdrop for romantic photographs. The hotel's experienced Wedding Director will manage all your arrangements, from the ceremony, which can take place at the hotel, to the reception, so that you can make the most of your day. The hotel can even be hired for your exclusive use. Situated in the Picturesque and historic village of Grasmere, The Wordsworth Hotel is in one of the most romantic settings in the Lake District, nestling among the fells so loved by the Wordsworth family. In this beautiful country house hotel serving outstanding food and wine, the atmosphere and ambience is that of a private home and the staff make the occasion very special, with a personal touch. The hotel has three very attractive rooms licensed for civil ceremonies, two of which enjoy stunning views of the garden. The Langdale Chase is a truly magnificent country house hotel, commanding panoramic and inspirational views of Lake Windermere and the surrounding fells from the seclusion of its own wooded grounds. Located between Windermere and Ambleside, it is the ideal venue for a wedding reception and is also licensed to host the ceremony. The bride will look stunning gliding down the wide, intricately carved oak staircase into the great hall where your guests are seated. The Beech Hill Hotel is in an unforgettable waterside setting directly on the shores of Lake Windermere, and your wedding co-ordinator plays a full supporting role in making the arrangements, giving you a tailor-made solution to your individual requirements. Miller Howe is set in five and a half acres of landscaped gardens above Lake Windermere, with an award-winning restaurant that is justly famed for its food, wine and hospitality. Guests can also enjoy spectacular views from three elegant lounges, or the calm comfort of the conservatory. Miller Howe is also licensed for civil wedding ceremonies. The Whoop Hall is a family run hotel with leisure facilities, set in stunning surroundings in the beautiful Lune Valley, close to the attractive market town of Kirkby Lonsdale. This idyllic retreat has the facilities to cater for up to 250 people and is also licensed for civil ceremonies. Why not ask about the honeymoon suite - complimentary for the bride and groom? A wide choice of menus - from formal dinners to finger buffets ~ ensures your wedding day can be tailor-made to your requirements. The four-star Swan Hotel at Newby Bridge is a characterful former 17th century coaching inn, carefully renovated to provide fantastic new facilities, including an excellent health & fitness spa. The Swan provides the perfect atmosphere for your wedding, being exclusive and romantic as well as friendly and welcoming. The delicious, freshly prepared food, overall presentation and service will delight your guests. Highly trained staff can help make all the arrangements that much easier, and both reception and civil ceremony can be held here. The Damson Dene is a hotel, restaurant and leisure centre at the heart of the beautiful Lyth Valley. Spectacular views, mature gardens, crackling log fires, and outstanding food and wine combine to make it an ideal venue for celebrating this most important of days. The hotel offers a complete wedding service, with an experienced team always on hand to deal with your requirements, and can hold civil ceremonies in a choice of licensed rooms. Situated on the southern tip of Lake Windermere, overlooking the water, the Newby Bridge Hotel is the perfect place to stage a wedding in the Lake District, with roaring log fires, excellent leisure facilities, a private jetty and superb food. Romantic photographs may be taken in the fantastic Roman garden complete with terraces, fountain and temple. For civil ceremonies, there are three licensed rooms. Jason Chambers is based in Keswick in the English Lake District and has a unique style of capturing the moment with his Wedding Photography. 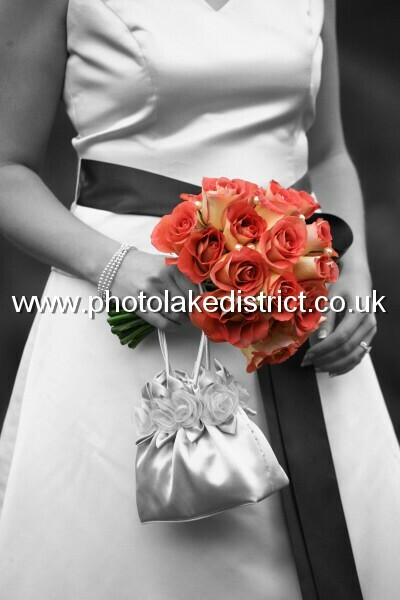 There are three sample Wedding Pages on his website which can be viewed at www.photolakedistrict.co.uk You'll be amazed at the range of photographic services Jason has to offer and undoubtedly appreciate his highly competitive prices. Jason's service comes highly recommended. 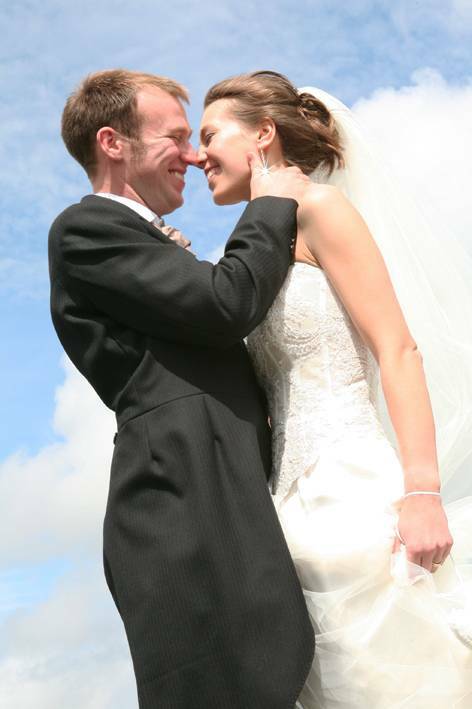 Reflections Photography in Kendal has many years of professional experience and all wedding photography is carried out by qualified photographers. A reputation for quality and style, showing empathy for mood, original poses, lighting and surroundings, combines with considerable technical expertise, and a real desire to create memorable wedding portraits for their clients. The photographer never forgets that it is the bride's special day, and a holds a pre-wedding briefing to agree the wedding details, making sure any special photographs the couple request are included. Tina Luke is an international award-winning photographer and one of Britain's leading female practitioners, who has created her own unique style when photographing wedding day celebrations, and her work is regularly featured in the local press and national magazines. Tina's wedding day photography is photo journalistic and reportage in style - she doesn't use a tripod, preferring instead to mix in amongst the wedding day action to capture the emotions of the day without intruding on the moment. The Kells Photography wedding service uses only the best digital equipment currently available to capture your special day. Professional digital cameras are used to take the photographs, and the photographs are then digitally processed ready for e-mail and printing. As the process is digital, there is no limit to the number of photographs taken and they can be printed in colour, black and white or sepia as required. Prior to the wedding, all formal group photographs will be agreed and listed along with any special requests you may have and these will form the basis of the collection, which will then be expanded to include more candid and informal shots. Coverage begins at the bride's home prior to the wedding through to the end of the evening reception. Martin Kinley is a professional freelance photographer based in Kendal, specialising in modern and individual style wedding photography. He has many years' experience in taking photographs for landscape, editorial, family, social and commissioned work. "Above all, the photographs will be individual in style but in harmony together" (Martin Kinley). These days almost everyone ends up with some kind of video documenting their wedding day (varying in quality, depending on who is wielding the camera!). If you would like to have a video that actually bears repeated viewing and does justice to your fantastic day, then call in the professionals. With all the back up a videographer has at their disposal, you won't end up with only half the ceremony because the camcorder battery ran out! As with photographers, styles will vary, so ask for demonstration tapes to see whose work you like. At BVS Productions, they always say that the video captures the real day, rain or shine - crystal clear and digitally recorded and edited. They will tailor their service to your needs, filming at home, at the church, and at the reception. Preparation is thorough as they visit all locations to make sure there are no surprises on the day. Afterwards, editing is crucial, as this is the part of the process that will make the video interesting and entertaining to watch. BVS can now also produce your wedding day memories on DVD. For truly magical memories of your special day, Safe Harbour Video Productions in Kendal offer a professional service with a personal touch. Using the latest digital technology to capture moments throughout the day, their aim is to produce a high quality, watchable video without intruding on your special occasion. All filming and editing, including sound tracks, titles and photo sequences, are included and the finished video is supplied in an attractive presentation case. Beales in Kendal offers a comprehensive range of merchandise and services, making it the perfect place to register your wedding gift list. Even on such a special occasion, getting good value for money is important and to that end, Beales offers a price match guarantee. There's no need to worry if you think your guests live too far from one of the network of stores nationwide they can select gifts from your list by telephone. Styk Trading has stores in both Bowness and Windermere, with an amazing range of usual and unusual gifts and furniture. A personal service co-ordinates your wedding list to meet your needs and makes shopping easy and troublefree for your guests. Presents may be selected in person, by phone, fax or email, and the service includes gift-wrapping, labelling, storage and delivery to your venue. You will have access to a special link on their web site (via your own password), to view your updated list and email them direct. When planning a wedding there is so much to think about that it pays to make enquiries about all the services you will need as early as possible. All brides like to arrive in style at the wedding venue, and the choice of transport options is huge, from a horse-drawn carriage to a stretch limo or a vintage Rolls Royce. Lakes Classic Motors of Windermere are a family run business that has been established for over ten years. Their fleet of wedding cars comprises two Rolls Royce Silver Shadows and a Daimler 420 Limousine, all in diamond white livery. The Daimler is the largest vehicle, carrying up to seven passengers. For your special day, the cars are dressed with white ribbon, with a silk flower display on the rear parcel shelf, and your chauffer will be dressed in a suit, hat and gloves. If you require candles for the ceremony or reception, look no further than Colony Candles in Ulverston, the UK's leading candle manufacturer and the largest producer of scented candles in Europe. In the Colony Country Store you have the opportunity to buy candles made on site plus a host of colour co-ordinated accessories - all at attractive prices. The custom of giving wedding favours dates back to early European history, and for a favour that has a traditional taste of the Lakes, Sarah Nelson's Grasmere Gingerbread is perfect. Crafted from a secret 150 year-old recipe, the Daily Telegraph described this unique Cumbrian delicacy as the "best gingerbread in the world", and the special collection of wedding favours comprises delightful heart-shaped or traditionally styled pieces of Grasmere Gingerbread, delicately packaged in either tins or boxes. The Icing on the Cake in Kendal can supply a range of favours tailored to suit every occasion and budget, including the traditional 5 almonds representing health, wealth, happiness, long life and fertility. For the reception, there is a lot to think about in addition to the food, such as decorating the venue, entertainment and dancing. Jesters in Hawkshead offers a balloon decorating service for your reception venue, using helium filled balloons. All kinds of options are available, including centrepieces for the tables, balloon arches and freestanding displays, and the whole arrangement can be co-ordinated to fit in with your colour scheme for the day. John K Rogers is a remarkable self-taught pianist, whose style ranges from light classics to Latin American jazz (his favourite) and many others in-between. His magic, electronic digital piano accompanies him wherever he plays, providing straight grand piano sound or a variety of accompanying rhythms in various styles. John's repertoire includes something for all ages - indeed, his musical motto is 'something for everyone'. For a spectacular finish to the day, what could be better than a firework display? Pyromania of Cumbria offers high quality, professionally-fired (fully insured) firework displays in the South Cumbria/North Lancashire area. They specialise in maximising the artistic effect whilst maintaining affordable budgets, though they haven't yet found a show too big for them! Low noise displays and displays set to music are a speciality. This information has been supplied by Cumbria County Council who are responsible for the Registration of Births, Deaths and Marriages Service in Cumbria. For the wedding itself, you have the choice of a religious ceremony in a church (or other religious building) or a civil ceremony in an approved venue (hotel etc.). Cumbria and the Lake District possess some of the best venues in the country, with nine register offices and around a hundred approved premises, including stately homes and historic buildings. Some venues even have facilities for you to get married in a permanent structure outdoors. Remember, even if you are retreating to a romantic hideaway to get married, just the two of you, on the day of the wedding you will need at least two people who are prepared to witness the marriage and sign the marriage register! Before you can actually get married, there are certain legal formalities to be fulfilled. Both prospective bride and groom must attend the register office in the district where you live to individually inform them of your intention to marry, a process known as 'giving notice'. You must do this personally. It is advisable to make an appointment to do this, as it takes about half an hour. You must also then make the necessary arrangements with the district where you wish to be married. This process can be undertaken up to a year before the date of the wedding. Its purpose is to show that you are both free to marry each other, and you will be required to provide certain documentary evidence (usually two from Passport, Birth Certificate, Proof of Address and Driving Licence). The superintendent registrar will ask questions about you and your partner, including your full names, addresses, ages, occupations and nationalities, and whether you have been married before. If either of you are under 18, the superintendent registrar will provide forms that MUST be completed by your parent or guardian. Although you may have a civil marriage in any district within England and Wales, notice of marriage needs to be given to the superintendent registrar of the district in which you live. It does not matter if either of you then subsequently moves to a different address although you must have been resident in the district for the preceeding seven days. After giving notice, there must be at least fifteen clear days before you can marry. The marriage must then take place within twelve months of the date you gave notice. The superintendent registrar will tell you when your authority to marry is due to be issued. If you are marrying in another district, you must take the certificate to that district before the day of the wedding. You will have to pay fees for: each individual notice of your marriage (£30 each); the Marriage Ceremony (ask the superintendent registrar for details); and the Marriage Certificate (£3.50). Fees are subject to change. Register Office marriage is £34. Fees for attendance of Registration staff at approved premises are: £180 Monday-Friday, £220 Saturday, £300 Sunday/Bank Holiday. If you are planning a Church of England wedding, you need to visit the vicar of the parish church where you live. The vicar will register the marriage, so there is generally no need to involve the local superintendent registrar. To be married in the church of another Christian denomination or in the building of another religion, you must give notice in the same way as for a marriage in a register office. Please note that you must usually live in the district where you plan to marry, unless the building is your usual place of worship. personalising your wedding ceremony (although there are certain words prescribed by law that you must say). Additional vows may be added, and non-religious music and poetry/prose can be included. Please discuss your plans with the superintendent registrar. At Approved Premises, the ceremony follows a similar format to a register office marriage, and it is also possible to personalise your ceremony with poetry or readings. The superintendent registrar will be pleased to advise. Many of these venues have stunning grounds and gardens that make a perfect location for your wedding photographs, and most have dedicated wedding organisers with whom you can discuss your plans. BARROW Nan Tair Centre, Abbey Rd, Barrow-in-Furness LA14 ILG 01229 894511 Capacity 70 (disabled access available). 23 Portland Square, Carlisle CAI IPE 01228 607432 Capacity 35 (disabled access available). Fairfield, Station Rd, Cockermouth CA13 9PT 01900 325960 Capacity 32 (disabled access available). County Offices, Stricklandgate, Kendal LA9 4RQ 01539 773567 Capacity 120 (disabled access available). Millom Council Centre, St Georges Rd, Millom LA 14 4DD 01229 772357 Capacity 75 (disabled access available). Friargate, Penrith CAI 1 7XR 01768 242120 Capacity 40 (smaller room with disabled access available, capacity 10). Town Hall, Queen St, Ulverston LA12 7AR 01229 894170 Capacity 80 seated (currently no disabled access). College House, Flatt Walks, Whitehaven CA29 7RW 01946 852690 Capacity 50 (disabled access available). Station Rd, Wigton CA7 9AH 016973 66116 Capacity 50 seated - contact for extra standing (disabled access available). A wedding is a large investment, so you need protection against any unexpected event. The world leaders in wedding insurance are E&L® Insurance, who can insure the ceremony and reception from as little as £50, with cover extending up to two years before the date of the ceremony. You can add insurance for marquees and ceremonial swords, which means this caring, efficient company will have an insurance package perfect for you. Get more information on wedding insurance.